I doubt if people ever forget the first person who steals their heart – that precious first love. Few people forget losing that love, either. When Aiden tells his significant other Liv over dinner one night that he wants to break off their relationship so he can find himself and explore the world without being tied down, etc., she is crushed and unable to understand why she wasn’t adventure enough for him after they had been soul mates for a year. 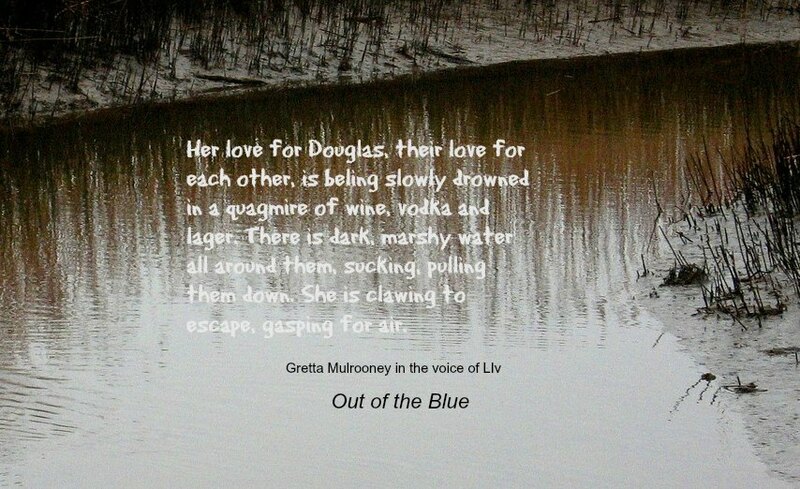 This review of Out of the Blue by Gretta Mulrooney explores some of the complications of the many emotions we call love. The relationship with Aiden is past history when Liv Caleghan marries Douglas Hood, a surgeon she met when he tended to her tonsils during an emergency room visit. It was only later, after they were married, she realized he was an alcoholic. As the book opens Liv is just planning on a quiet evening in, waiting for Doug to get home from a business trip when the phone rings. 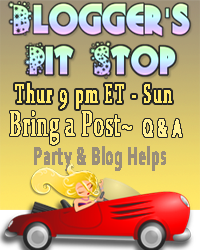 She already knows the caller will tell her that Douglas is drunk again somewhere and she will need to come get him. This time he fell asleep on the train ride home and missed his station. She goes to pick him up, all the time thinking about the letter her father gave her with the keys to her Nanna’s home in Ireland, which she had just inherited. They represent freedom to her – a chance to get away for a breather to decide what to do about Douglas, her, marriage, and her life. Meanwhile, Aiden also married. His wife Maeve is a reliable, faithful woman and a wonderful mother to their children, whom he also loves very much. He had just left a successful computer career because he hated the job and had moved his family from Manchester, over Maeve’s protests, to Castlegray to sell vegetables in the market. He also supplies his his mother in-law, Eileen O’Donovan’s grocery store at Redden’s Cross, the closest place to Glenkeen to buy provisions. By now you have probably guessed that Aiden has discovered Liv is now in the area. Aiden loves his wife, but has never felt the same way about her as he did about Liv. He doesn’t like the way she decorates the house and doesn’t feel comfortable there, but doesn’t say anything because she sees to feel he owes it to her to let her make decisions about the house since he uprooted her life when they moved. He now regrets breaking off the relationship with Liv, and especially the cowardly way he did it. Now that he has seen her again, he can’t stop thinking about her and he also dwells more on the ways he and Maeve are different. The reader will soon pick up on his selfish streak. He can’t resist going to pay Liv a call at Glenkeen. 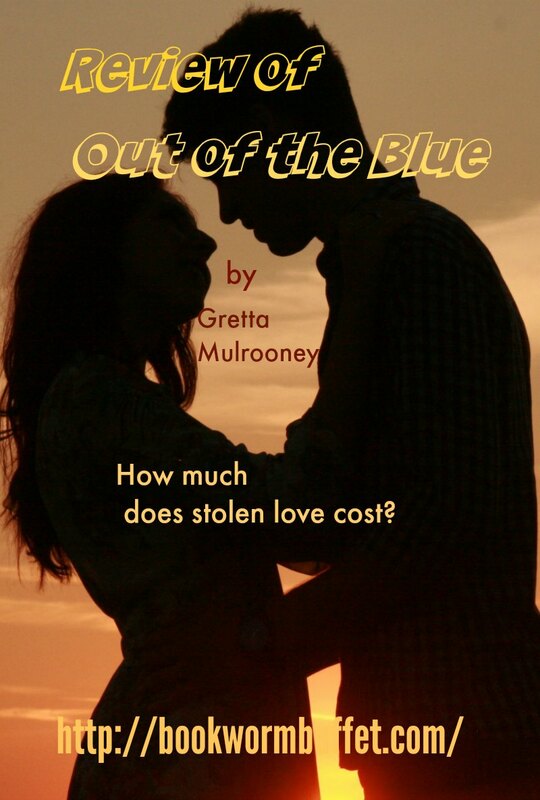 Liv is vulnerable, and although she knows it’s not right, she allows Aiden back into her life and Glenkeen to become their love nest, feeling confident they won’t be found out. When they are, Aiden moves in with Liv and the two plan to continue the repairs on Glenkeen, grow a garden for Aiden’s vegetables, and spend the rest of their lives together there. That’s when things get really complicated. The author does a great job in developing the characters enough so that you will feel for all of them as the plot works itself out. The author has injected enough realism into this novel to make a happily ever after ending impossible. Aiden’s rash decision to dump Liv years ago has limited his options once they find each other again. When married people who have affairs also have children, there are consequences beyond one’s own feelings. As I read this book, I bled in my heart with each character who was hurt. The characters had to deal with love, responsibility, lust, and selfishness as they lived out their lives in the book. The love nest at Glenkeen was invaded and Liv and Aiden could not ignore making hard decisions that would affect more lives than their own. It is only after Liv makes one of those hard decisions that her Great Uncle Owen reveals an old family secret that explains much that Liv had wondered about. This book raises many questions about the nature of love. When the chemistry is right between two people, does it justify their following their feelings when doing so will break up one or two families? Who is to know if this kind of love will last any longer than the love for the previous partner lasted? Should people in love expect to always love everything about their marriage? If they have differences does it justify looking elsewhere for happiness? And what about the cases where people fall in love accidentally without ever really wanting to find someone else? Is an affair ever right? What can one do to affair-proof a marriage? Great review on a very touchy subject. After experiencing my own similar experience, it’s one you never forget. However, one must forgive in order to move on. Thanks for sharing this with us. Passing it along. Brenda, this book broke my heart in many ways, because there was pain for everyone involved. Human relationships are very complex. 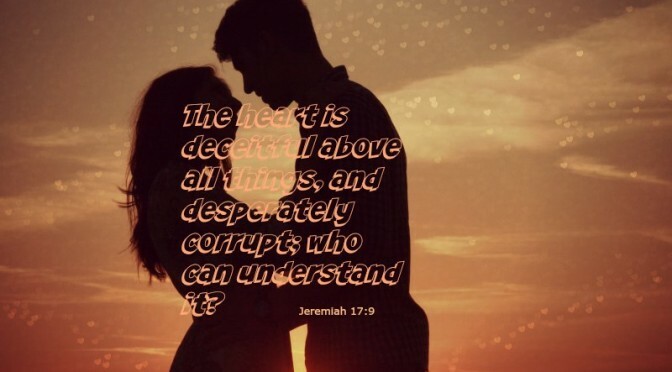 Our hearts can also be deceptive and keep us from seeing the truth about a relationship. Thanks for sharing your thoughts.